Dr. Law Walker joined Georgia Perinatal Consultants in August of 2013. A Georgia native, Dr. Law Walker was born and raised in Gainesville. 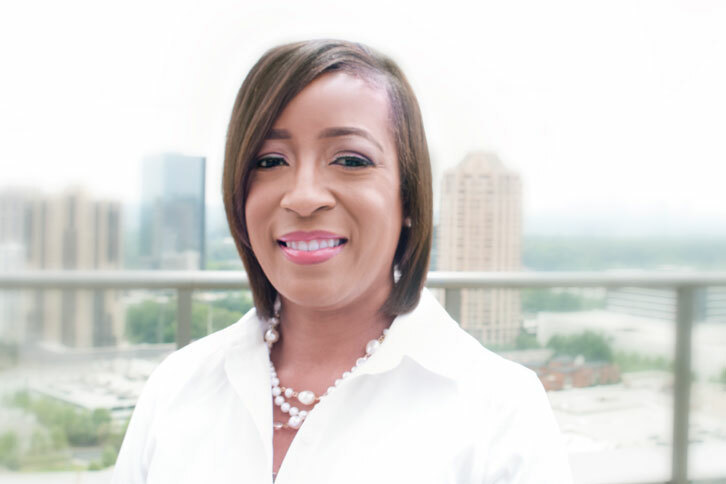 She earned her Bachelor’s degree in Chemical Engineering from the Georgia Institute of Technology, and her medical degree from Mercer University School of Medicine. After completing her residency in Obstetrics and Gynecology at Sinai Hospital in Baltimore, she served two years in the military at the Naval Hospital in Beaufort, South Carolina as a staff OB-Gyn. She went on to complete her Maternal-Fetal Medicine fellowship and received a Master of Science in Clinical Research at the Medical University of South Carolina in Charleston. Dr. Law then served another two years on active duty at Walter Reed National Military Medical Center in Bethesda, Maryland. Dr. Law Walker is board certified in Obstetrics and Gynecology as well as Maternal-Fetal Medicine. She is a Fellow of the American College of Obstetricians and Gynecologists, and a member of the Society of Maternal-Fetal Medicine and the National Medical Association. She has also contributed her time and knowledge as an Associate Professor at the Uniformed Services University of the Health Sciences where she served as the Medical Student Clinical Site Director for the OB-Gyn department at Walter Reed. Dr. Law Walker has published and presented research regarding intrauterine growth restriction and other perinatal subjects. Her clinical interests include ultrasound, obstetrical procedures, fetal growth, and maternal health complications. Dr. Law Walker brings a diverse background to the practice. Her prior engineering training allows her to completely analyze problems with great attention to detail, and then devise a well thought out personal plan for each patient. Through military experience, her formal education was enhanced with extraordinary discipline, responsibility, leadership, commitment and resiliency, which is evident as she cares for her patients and works with others in the healthcare team. Her medical expertise and caring service enable her to assist and support patients and their families throughout their pregnancies.